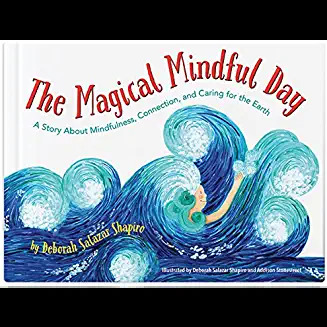 Deborah Salazar Shapiro joins us to speak about her 2018 Parent and Teacher Choice Award winning children’s book, The Magical Mindful Day. One of the most encouraging aspects of the mindfulness movement to me is the increasing availability of children’s books, introducing this way of meeting the world with kind awareness. Concepts or practices that can be difficult for adults may be more accessibly explained for minds not yet awash with the deep grooves of habit patterns, and it’s hoped can lead to a life where unhelpful and untrue judgments and biases are less likely to form a solid grip, or may be prevented altogether. 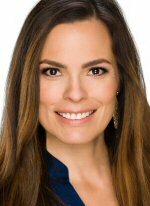 Deborah Salazar Shapiro, MSW, is a psychotherapist, mindfulness teacher, author, and artist who has been working with children and families for more than 15 years. She is an instructor of the Mindfulness-Based Stress Reduction course developed by Jon Kabat-Zinn and completed training as a Mindfulness Facilitator at the University of California Los Angeles Semel Institute for Neuroscience. Deborah has studied meditation for almost a decade with various Buddhist teachers in the U.S., and, recently, in Myanmar. She earned a master’s degree in social work from the University of Southern California and a master’s-level degree in psychology from the University Dr. José Matías Delgado in her native San Salvador, in El Salvador.